As missionary teachers here in Korea, we face unpredictable situations that test our personality and challenge us on how we handle kids with patience and humility in our ministry everyday. In my kindergarten class, whenever I would check their attendance and ask them to sing our goodbye song, it’s an indication that our class is about to end. Then we would recite our closing prayer. After saying, “Goodbye, Teacher!” all the children would go out. 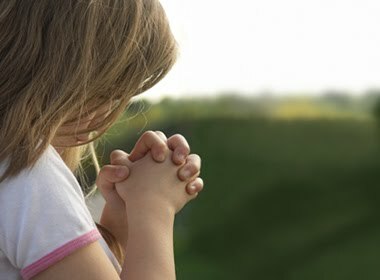 But I noticed this one little girl who would sit down again and whisper the closing prayer with closed eyes and folded hands. She never minds her classmates. When she opens her eyes, I just smile at her and say, “Thank you for praying, little kid.” And then we say our goodbyes. Even a little prayer can move and influence our personality. This young girl, though she is not an Adventist, taught me how important prayer is in our lives. Even though she did not understand the meaning of the prayer, she still keeps on reciting it everytime we end our class. And now, her classmates are whispering it with her. All of us pray for different reasons. It may be to ask for something; it may be for thanksgiving, or for whatever our hearts would desire. When we pray we also expect what kind of answers we get. But whatever the answers may be, the important thing is that we know how prayer works. As the Greatest Teacher, Jesus Christ is our Ultimate Example. Through our simple ways we can show our students the love of God. The problems we encounter here are but nothing compared to our great God. God is just a prayer away. Let us also remember that we should also be examples to the little kids not just in our praying habits.